BLANCMANGE made their welcome return in 2011 after a recorded absence of nearly 25 years with the album ‘Blanc Burn’. Featuring inventive and quirky tunes such as ‘Drive Me’, ‘I’m Having A Coffee’, ‘The Western’ and ‘Starf*cker’, the collection showed that the creative dynamic which influenced acts such as FAITHLESS, LA ROUX and HOT CHIP was as vital as ever. A well received Spring tour plus other prestigious summer dates such as Coventry’s Godiva Festival with HEAVEN 17 and MIRRORS showed that audiences still had a taste for BLANCMANGE. However due to illness, Stephen Luscombe was unfortunately unable to join his erstwhile partner Neil Arthur for those live dates. Despite always looking forward, BLANCMANGE have been crossing paths with their past on several occasions since their comeback. Godiva Festival saw Neil Arthur meeting up with HEAVEN 17’s Martyn Ware, who produced the demos which got them signed to London Records. Meanwhile, Friday 4th May 2012 will see BLANCMANGE headline BAS II, a special weekend celebrating the legacy of DEPECHE MODE and the Basildon electronic music scene. BLANCMANGE supported DEPECHE MODE on their early tours and became close friends particularly with Vince Clarke. Of course, BLANCMANGE themselves had their own imperial phase with hit singles such as ‘Living On The Ceiling’, ‘Blind Vision’, ‘Don’t Tell Me’ and the ABBA cover ‘The Day Before You Came’… so that’s where Vince Clarke got the idea for ERASURE’s ‘Abba-Esque’ EP from!!! With a new tour for May just announced too, Neil Arthur got a trifle excited and spoke to The Electricity Club about BAS II, DM and BLANCMANGE’s future plans. How did you become involved in BAS II? I know organiser Deb Danahay from years ago when she was with Vince Clarke. Me and Stephen were good mates with Vince, the other DEPECHE MODE lads and their partners at that time during 1981-82. Deb got in touch and said she was seeing us in Brighton. We’d chatted a few times over the phone and Facebook but we ended up meeting and had a really good chat after the show. It was just fantastic; we’ve kept in touch since then. How was it touring with DEPECHE MODE back in the day? We did two tours with them. When we toured with DEPECHE MODE the first time, I hadn’t long left college and I was working so I took time off work to do that. We weren’t signed at that time. On the second tour, we knew Vince was leaving but everybody was keeping it quiet. After Vince left and Alan Wilder joined, we then did Jersey and Guernsey on the 10th and 12th April 1982 with them. We had a swimming competition after the last gig! I bumped into Alan a few months ago at Sinners Festival in Belgium when RECOIL and BLANCMANGE were playing. We walked out of our dressing rooms and both of us gave out some ‘manly’ screams and went “BLOODY HELL”! What are your key memories of those DM support tours? Those kids were Swiss tourists and they knew there were these bands there but they couldn’t figure out who and she looked the most glamourous. So she had to sign all the autographs! There were many funny moments and good times. You and Stephen spent quite a lot of time with Vince Clarke when he was doing YAZOO. So what was this unreleased track BLANCMANGE did with YAZOO like? How is Stephen at the moment if I may ask? I’m sure we’ll do more stuff together; I know everyone wishes him well. What about THE ASSEMBLY track it is rumoured you did? How did you feel about the reaction from fans and press to BLANCMANGE’s return and ‘Blanc Burn’ in particular? I was very pleased with the way it was received… compared to reviews I can recall from years ago, the reaction has been very positive and that’s lovely. Having said that, when it came out, I didn’t read a review; it’s only recently that I’ve done that. At the time, I thought it was more important to get on with the work. Reviews are great if they’re good but after all these years, you just get on with it. We’ve made plenty of mistakes in public and just carried on…if people decide it’s a mistake, that’s their prerogative. If it’s something that people really like, they can have their opinion on it and I go “thank you every much indeed”. The other thing is, we’re not with a big record company, it was only licensed and the whole thing was recorded in our studios and mixed at a friend’s place. It wasn’t done how like the old albums were put together…that’s what I thought was the interesting thing because the end product probably appears from the outside to be very similar. The actual process was very different. There were some excellent reviews, some good ones and I’ve read a few that don’t get it but that’s fine. In terms of how the audience have reacted to us, it was humbling. I hadn’t been on a big stage for a long time and I didn’t know what it was going to be like. At Glasgow, it was like stepping into a void. But as soon as I put my foot on the stage, I knew exactly where I was and I knew what I wanted to do…things kind of trigger and come back. And it was made easier by the most partisan crowd I could just imagine. It was fantastic and meeting people afterwards, that was the humbling bit. It was absolutely brilliant hearing their stories and inspirational things I found out from people. Great! I saw you at Koko and it has to be said you’ve aged much more gracefully compared with some of your contemporaries, what’s your secret? Everything in moderation and some of it never in moderation! I love running and football, I play football regularly. I enjoy swimming too, my whole family was into that at a competitive level. It put me in good stead! I’ve actually been out cycling today with my old mate David Rhodes who used to play with us, JAPAN and PETER GABRIEL! We did a great run though the Cotswolds. I don’t know, he’s older than me and he was beating me on every hill! And we weren’t racing either!! Pandit Dinesh must have the largest ever exotic percussion collection ever seen at a pop concert? Your daughter and son came to some of the shows, what did they make of it all? Of course, my better half, who signed the autographs I mentioned earlier, had seen it all before! You haven’t done ‘The Day Before You Came’ at any of these shows, any reason for that? No, it was just that there were a lot of songs to do and I was really keen to do a mixture of new and old. I mean, we didn’t do ‘That’s Love, That Is’, ‘Lose Your Love’ or ‘What’s Your Problem?’. I just made a decision… funnily enough ‘The Day Before You Came’ may well appear and ‘Lose Your Love’ too but I’m also keen on doing new stuff and moving it forward! I’m very interested in the future. I do understand that we have some kind of a legacy and I realise people who do come to see us would expect to hear those old songs. We enjoy doing songs like ‘Feel Me’ and sneaking in ‘Running Thin’. It was great fun doing old stuff like that with the new ones. So what’s the background of new track ‘Come On Now’? The version of ‘Come On Now’ that is now was one of the last tracks we mixed but it was one of the first songs we recorded together… I’d written this basic song with these lyrics and we started mucking around with it. We just decided not to put it on the album. You are very much into the future, so how are you resisting offers to do things like Rewind Festival and Here & Now? If people want to do that, then it’s fine. BLANCMANGE have been asked and I’ve even been asked on my own… I don’t really want to do it, it’s not my bag! You have a band playing in the background who you don’t know, and you go on and sing your hit… it’s not me! Last year, we did Godiva Festival with MIRRORS and HEAVEN 17. I’ve got a lot of time for MIRRORS… they look great, I love the sound and the way they do it. And then after us were HEAVEN 17. So it was really nice that there were electronic acts all together but one was a new band, two of them weren’t. I thought it was a fantastic idea. Do they do that at Rewind? I don’t think so. And when we came back, most of the set was new songs! If you didn’t know us, you’d have been thinking “what are these old gits doing up there playing new songs?” It was really good fun, and nice meeting Martyn Ware and Glenn Gregory again, I hadn’t seen them for a while. When we were doing festivals before, you’d go on stage, come off and RORY GALLAGHER would go on. It’s a bit different now and there’s a load of them! Any DEPECHE MODE or YAZOO themed tribute planned for BAS II? What next for BLANCMANGE and yourself? We’re thinking of putting out an EP, perhaps on a USB stick, but also we may do a limited edition of our first EP ‘Irene & Mavis’ which is not around anymore. We’ve had it digitised. We’ve got festivals coming up. We had some really good times at Sinners in Belgium last year. That was good fun, they really looked after us so I’m looking forward to all that. There’s talk of us going out to America. I know we’ve talked about this retro thing but I think in the Autumn, we’re looking at doing a classic album in its entirety which might be ‘Happy Families’. They’re looking at doing a short tour of that and I think it would be good fun to do. I quite fancy doing ‘Mange Tout’ to be honest, but I have a feeling we’ll probably do the first one and see where it goes. We’ll certainly take that to Germany as well. I’ve got a side project I’m working on with FFINCE & ODDGER. I was talking to the lads from KOMPUTER about doing something. I’m also looking at having a chat with CAGE & AVIARY who I love. You got to get their new album Migration, there’s some great dubby and four-to-the floor stuff going on there. I was speaking to John Luongo who we did ‘Blind Vision’ and the second album with the other day, he wants me to go and see him in America. I’m sure they’ll be another BLANCMANGE album but I’d quite like to do some remixes. A really interesting thing happened, I came across a tape from 1980 and it’s got songs that nobody’s ever heard. The only one that ever came out was the original ‘Sad Day’ which went on the ‘Some Bizarre Album’. They’re recordings on a 4-track. We’ve had that digitised, it’s on the computer and it might get some attention. There’s things like ‘I Would’ and the original versions of ‘Waves’, ‘I Can’t Explain’ and ‘I’ve Seen The Word’ minus a verse!! It’s got a verse missing while there’s no histrionics on ‘Waves’! There’s a bit of ‘Waves’ that I’ve always had difficulty with. 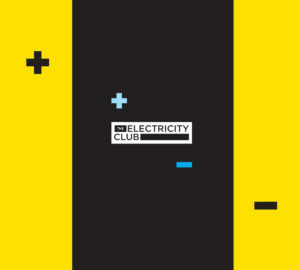 BLANCMANGE headline BAS II on Friday 4th May 2012, The Electricity Club be DJing after their live set alongside DUBSTAR’s Sarah Blackwood.